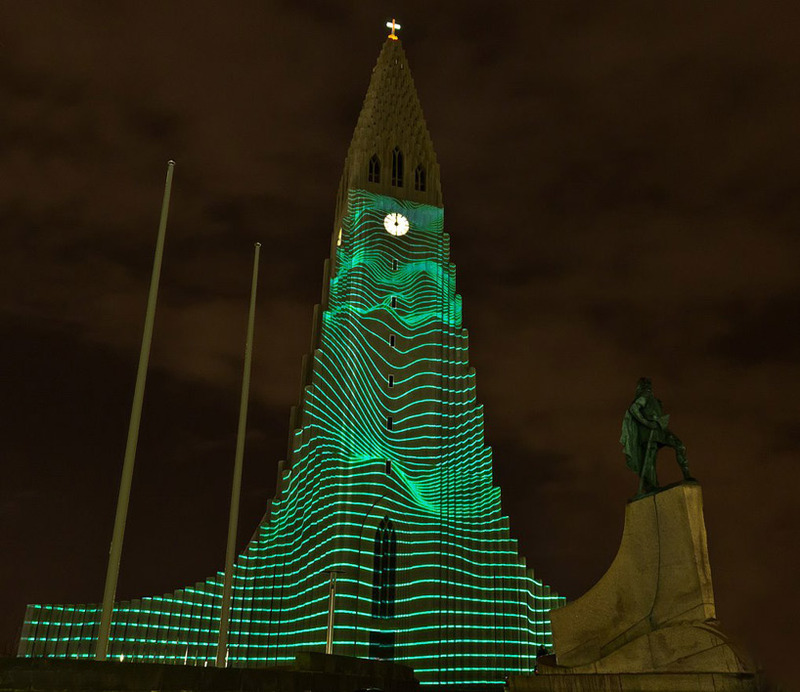 Marcos Zotes</aMarcos Zotes was the 2012 winner of the Reykjavik Winter Lights Festival. 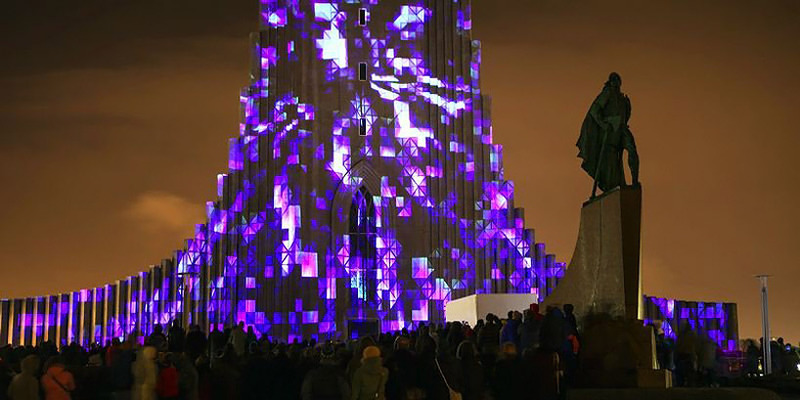 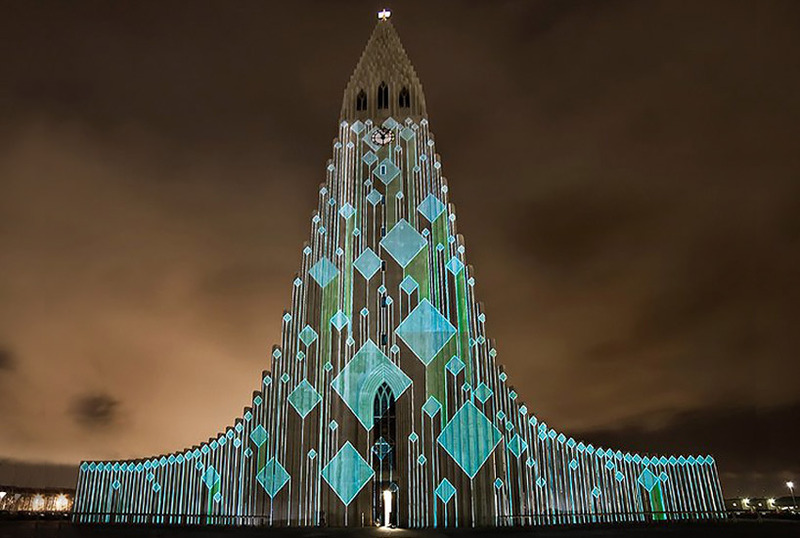 The work consists of a temporary, site-specific installation appropriate to the facade of Hallgrímskirkja church using a large video-mapping projector. 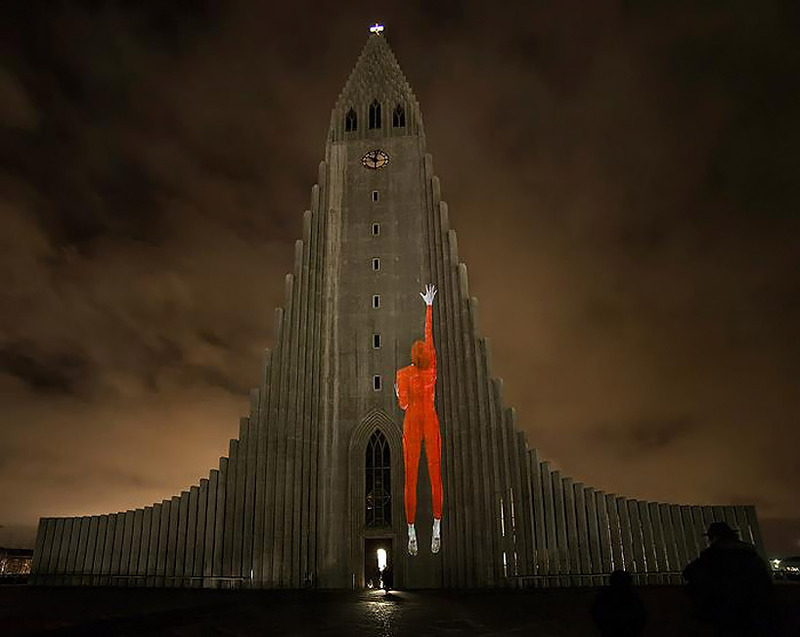 The aim is to transform the static condition of this iconic landmark into a dynamic, engaging and participatory visual experience. 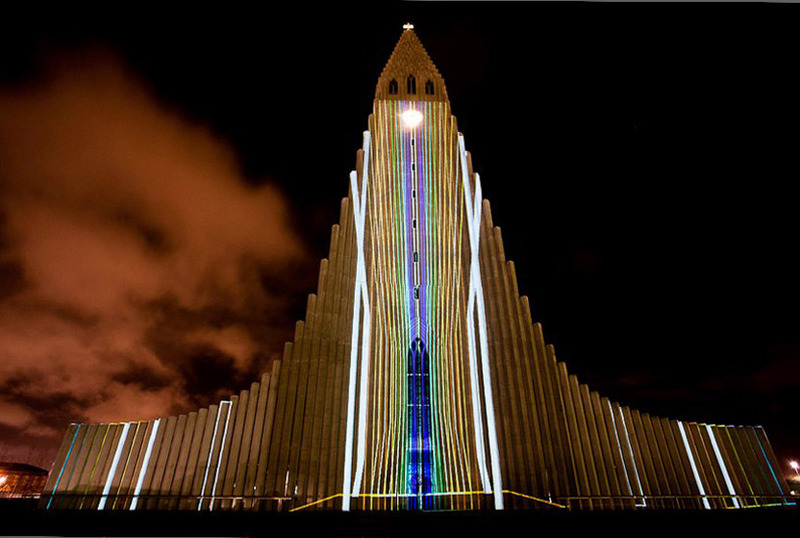 The church site is here, but beware, it is very slow loading.